Family resemblance: 10 signs I've become just like my parents. Trust is the bedrock of any strong, healthy relationship. One exercise we were asked to partake in during a college acting class consisted of standing on a window ledge and falling blindly backwards into the arms of our classmates. The purpose was to develop trust among a group of strangers who would be asked to yell at each other, cry in front of one another, and perhaps share a love scene on stage. A minimum level of trust and a willingness to share intimate moments are directly related. Addicts exchange 'Hitting Bottom' stories during anonymous meetings with other addicts. These are strangers revealing secrets to each other; secrets they may be keeping from their families and their closest friends. The foundation for the sharing is an understood trust which cannot be counted on by others who have not experienced similar dark chapters in their lives. Most of us have at least temporarily experienced profound levels of sadness, anger and frustration. We have felt alone. And, although others may be able to share an empathetic ear or offer solutions and support, embarrassment often forces us to cope alone. Blogging, and the internet in general, can offer a window through which troubled souls can find each other and share experiences. The internet however, cannot be blindly trusted. Lurkers and trolls threaten to pervert honesty and confession into embarrassment and shame. Still, individuals find great solace online, sharing emotional stories of battles with cancer, or with alcoholism or the loss of a loved one. But what about parenting's dark underbelly? How much can you share when the story extends beyond the individual? My son has been able to read fluidly for more than a year. Monday, my daughter brought home her first assignments of first-grade homework: matching pictures to words and reading syllables out loud. Both children occasionally peer over my shoulder when I write. The parenting stories I disseminate online forever are by definition also stories of their childhood. That is why many parenting blogs are built upon cute pictures, sweet stories and parenting's most humorous moments. These are the safe stories. These stories can live harmlessly in the blogosphere for decades. What is rarely discussed within the online parenting community are stories of despair, depression, frustration and isolation. Ironically, it is during these crises parents are most in need of a peer to support them by acknowledging they are not alone in their melancholy. When you feel intense anger towards your children, or are frustrated to the point of tears, or blame yourself for your child's misbehavior, or want so badly to lash out at them, where do you turn for support and release? These threadbare emotions are what we do--what we should--keep offline. These are stories about our children as much as about ourselves, and they are not ours to share with whomever we choose. Just as adults have been hurt by stories of humiliation made public for page views, our children will reach adulthood, and dark moments of their childhood shared worldwide should not pounce from behind doors. Although blogging has outgrown its infancy, the young subjects of many parenting blogs have not yet reached adulthood. Like so many parenting studies, the effects of publicizing our children's childhood may not be understood for decades. Our kids are part of a generation whose diaries are being kept for them. Many of those are being published as quickly as they're written. While there may be validation--and perhaps even some healing--achieved through these unauthorized biographies, parents seeking real sharing and solace during their most troubled hours need to search close to home, and not through a search engine. There are thousands of stories about our sons and daughters that we would love to share. But, more important than developing a following, is developing trust with your children. Home built in 1955 + limited budget = necessity to figure it out on your own. I am not a contractor. I am a young parent in an older house who is learning that home-repair waits for no one. I have been forced to graduate from caretaking (changing light bulbs and mowing the lawn) to maintenance (augering a drain and installing slate tile over a Schluter membrane). This is NOT a how-to article for specific projects, but rather a list of a few helpful steps and philosophies which will help Moms and Dads more experienced in changing diapers than changing toilets manage their sanity as they learn to keep their houses from collapsing. Multiply by 400% the time you feel you need to complete a job. Changing a toilet is easy, as long as it comes out perfectly, and doesn't take any tiles with it. It's like recipes in a cookbook which advertise "30 Minute Supper! ", but fail to mention the hour it will take you chop the vegetables and peel the potatoes. Be prepared to announce: "I'll have a go at this, but it may not get done today." That's why some marriages do last forever; owning a house keeps you separate, and busy. 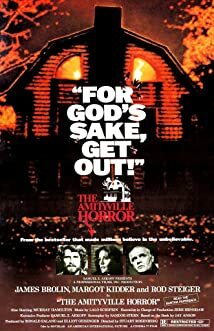 Ever see "The Amityville Horror"? When the priest walks into the sewing room full of flies (really, rent it), he hears a voice whisper "Get Out!". He assumes it's a demon. But if you look carefully at the room, it is clear it is in dire need of repair. Maybe the flies were just calking the window. Working in peace will not only put less pressure on you, but leave you free of those pesky wandering eyes and suggestions which can break your concentration and increase frustration. Before replacing and repairing, there is usually destroying and removing. If you have to deconstruct something, remember where to put it back! Use a digital camera to document as you go (or to illustrate the problem to the guy at the hardware store). As you remove layers, when replacing a sink faucet for instance, put the part you remove first closest to you, and work outwards. There is nothing more frustrating than knowing it all fit together half-an-hour ago, and now there are parts leftover. Here's what happened to me: I wanted to install new tiles on my kitchen floor (waaaayyy above my level of expertise). The 'expert' at the hardware store insisted I use two layers of plywood as a base. This would have raised my kitchen floor nearly a full inch above the rest of the main level of the house. The guy at the tile store recommended a Schluter membrane - no plywood needed. Why had the hardware store guy not made this suggestion? They don't sell the stuff, i.e. there was no money to be made. Installing the floor seemed an impossible task. The tile guy monologued over the counter step-by-step instructions for installation, but at midnight, alone in my unfinished kitchen, nothing was going right. It really was exaserating. It was then I stumbled into the world of DIY videos on YouTube. These friendly, experience guys demonstrated how to properly do the job. I could pause them, rewind them, and examine them full screen. Seeing it done made a world of difference. Yes, this completely contradicts #2. But it's better to have a kid hammering at a junky piece of plywood than hanging off your shoulders while you're trying to cut drywall. I've discovered that a cordless drill - with the bit removed - along with a cardboard box or some Styrofoam can easily translate into an hour or more of fun. When all else fails...take up gardening.